Finding the best backpack brands can easily get very expensive if you’re just going to use trial and error to find your favorite. So, we’ve put together the best backpack brands out on the market today. Based on durability, customer service, usability, style, and all around usefulness, we are sure there is a brand or two on this list made for you. Whether you want a lifetime warranty, the perfect organizational bag, or a backpack to go from work to the trail, there are plenty of options. With these best backpack brands, we believe you will be able to take pride in your style and investment. So, read on to discover which of these best suits you, your style, your budget, and your life. For over one hundred years, L.L. Bean has been crafting the best gear to keep you going. Founder Leon Leonwood Bean was first inspired after a hunting trip in Maine to create a spectacular shoe. He crafted it over ten years. He would send it on field test after field test until he thought it was good enough for an arctic expedition. From this success sprouted the iconic L.L. Bean Field Coat. Soon enough, there was a world-renowned catalog full of expertly tested outdoor gear. The care that L.L. Bean puts into each of their products is what has risen them to the top as one of the best backpack brands. L.L. Bean backpacks have always been versatile and tough, ready for years of school, travel, or outdoor adventure. They have an extensive selection of styles, colors, monogramming option, and prints. From kids in first grade to twelfth, these backpacks are a staple for them. On top of that, L.L. Bean stands fully behind their products. You may return any product within one year for a full refund if you are not completely satisfied with it. After a year, they will consider any item or backpack for a return due to defects in the materials or craftsmanship. Since 1966, The North Face, or TNF, has been testing, manufacturing, and researching quality gear for the world traveler and outdoorsman alike. They are committed to taking care of the outdoors through sustainable practices as well as by making a product that lasts. This dedication is what put them on our list of the best backpack brands. TNF has an expansive selection of backpacks to choose from, from unisex, men’s, women’s, and kids. After that, you can choose your style: classic, commuter, heritage, or day hike. So, whether you’re needing a new backpack for work, school, hiking, or to keep you styling around town, The North Face wants to be your brand. We mentioned earlier that The North Face is committed to lifelong products. This is why each backpack they produce comes with a lifetime warranty. They have crafted their backpacks with unique features which set them over the top. The sleek reflective elements to keep you safe and FlexVent technology to keep you cool are two of the little touches we love. On top of that, their water bottle sleeves actually hold a full water bottle easily. With this, you can tell that the makers of these backpacks actually use them too. Overall, the North Face easily takes a top spot as one of the best backpack brands you can find today. Take a stroll around any campus these days and you’ll be overwhelmed with the number of JanSport backpacks you see. There’s no doubt by their popularity that they are one of the favorite and best backpack brands available today. JanSport was started in 1967 by three people who wanted to make a versatile, durable, and innovative backpack for the adventurer. This could be a romp in the Andes or strolling Central Park. JanSport stands behind their packs by giving them a lifetime warranty. As they know exactly the product they built, they will try and fix it first and foremost. But, if they can’t, they will send you a brand new backpack for free. So, this is a business model we can truly get behind. Their most popular backpacks are the classic Right Pack Backpack and their Superbreak Backpack. But, you can go a little more hip and retro with their Hatchet Backpack or keep your gear protected with one of their multiple laptop sleeve backpacks. So, whether you’re going for a work or a play backpack, JanSport has one for you. 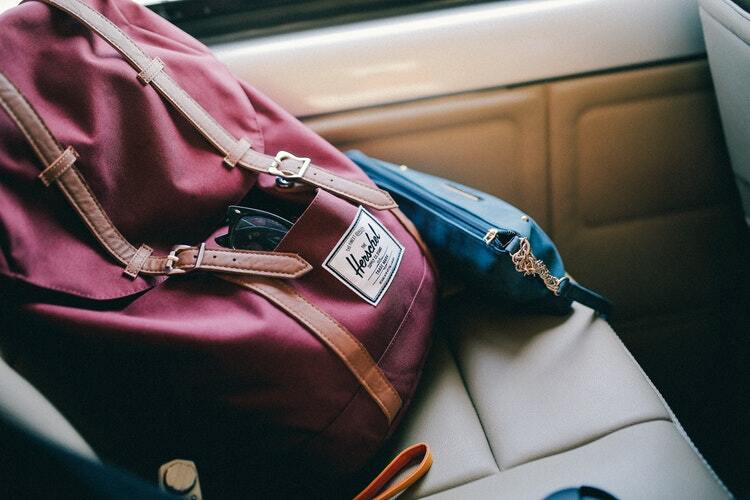 Herschel has been gaining more and more traction lately as one of the best backpack brands available today. It all began in 2009 when a pair of brothers, Jamie and Lyndon Cormack, wanted to make a globally accessible, detailed products. They strive to produce a timeless design that can be used just about anywhere. Creativity and imagination are instilled and found in all of their designs. So, you will keep finding more and more small details and innovative parts in their backpacks that you will quickly come to love. One of the best parts of this spectacular company is that their backpacks come at a great price point for the value. Backpacks start at under fifty dollars for the quality design and craftsmanship. Whether you want a classic look or a more trendy, leather strapped design, you can find one that fits you and your style. Their signature patch will accompany almost every backpack they sell. This lets the world know you have found one of the best backpack brands ever. While this Swedish company may prefer to call them rucksacks, they easily make some of the best backpacks on the planet. Focusing on simplicity and practicality, their backpacks will come with everything you need and nothing that you don’t. Fjällräven's signature arctic fox logo graces all of their products, creating a timeless and unique look that we all love. They have three goals as one of the best backpack brands. The first is to develop functional, durable, and timeless outdoor gear. The second is to act responsibly towards nature, animals, and people. Thirdly, they want to inspire and develop an interest in outdoor life. So, if you're dreaming include any of those, this may be the brand for you. As for their backpacks specifically, they want to use materials as close to the source as possible. So, their first choice for materials is the homegrown cotton, wool, and down of Sweden. If they need to produce a synthetic material, they will develop it in-house to create the best possible product. Their backpacks themselves focus on being incredibly durable while making sure that you carry the weight in the pack well. Their KÅNKEN NO. 2 backpack is made to help the customer carry the weight in a healthy way to decrease back pain. As kids are getting asked at younger and younger ages to lug books to and from school, this is an essential adjustment needing to be made in the backpack industry. So, thank you Fjällräven for starting us off on the right foot. All in all, you can see that Fjällräven gives attention to detail and craftsmanship, clearly setting them apart as one of the best backpack brands. This brand is gaining incredible popularity among those who desire transparency in their clothing and accessories manufacturing. Everlane is upfront with what it costs them to make their product, so you know exactly what their profit is and what you’re paying for. This business model allows a trust to be built between the company and the consumer and is how they’ve created one of the best backpack brands we know. With a few different backpack designs, they are simple and cost-effective without being anything less than stylish and practical. 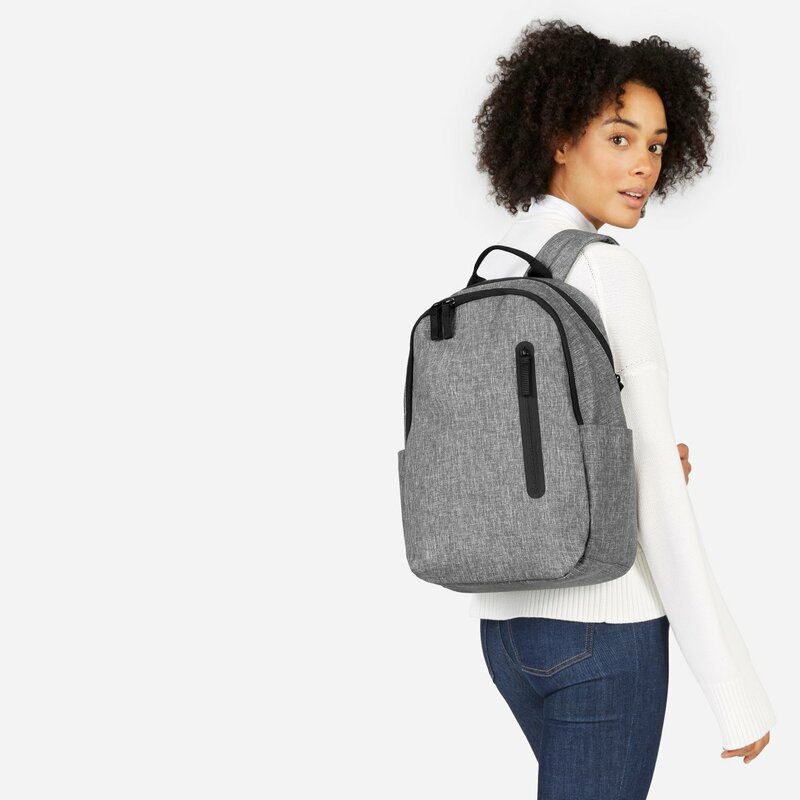 Whether you’re in need of a solid laptop backpack for commuting or a backpack that compresses into a tiny pocket for travel, Everlane has options for you. On top of that, you can look at each of the factories your backpack would be made in. This radical transparency is what Everlane thrives to bring you: materials and manufacturing that you can bet behind. From a decent wage, good working conditions, and ethically sourced material, you can be proud of where your backpack came from. So, if you need one of the best backpack brands to feel good about, check out Everlane. A brand dedicated to reducing waste, protecting the environment, and getting you outside is what Patagonia brings to the table. They have been making top-notch outdoor gear for quite some time, making sure each piece is thoroughly tested and revised before it hits the shelves. Whether you’re looking for a solid daypack for a hike or a sturdy backpack to lug books around your college campus, Patagonia will have something for you. Our favorite current picks from Patagonia are the Nine Trails pack and the Chacabuco Pack. They have a great mix of features without compromising on style or weight. Like all our best backpack brands, Patagonia believes in their product and will work with you to keep your gear working for a lifetime. So, for another spectacular outdoor product, look to Patagonia. All in all, the best backpack brands mix together functionality, durability, sustainability, style, and do this all at a great price. We have enjoyed researching, testing, and drooling over these gorgeous backpacks to help you know which brand is best for you. While we wish we could buy one of each brand, the beauty of these brands is you truly one need one, or maybe two. As each of these best backpack brands bring you unparalleled workmanship and attention to detail, if you take your time choosing the right one for you, you should be set for life. So, choose wisely, but know that any of these brands will produce a spectacular backpack for any use.